The Daresbury Park Hotel and Spa is less than 3 minutes away from the M56 and is one of the best hotels in Warrington for price and facilities. Offering an excellent location for business and leisure guests, it’s a great choice for an affordable hotel in Warrington. 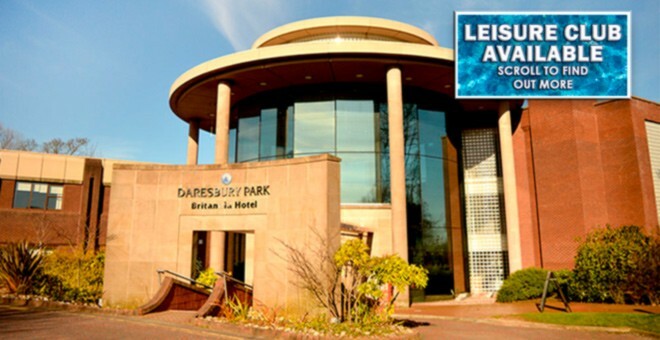 Whether you need a base so you can venture out shopping, you’re off to the races or a family day out – the Daresbury Park Hotel and Spa is the perfect choice. 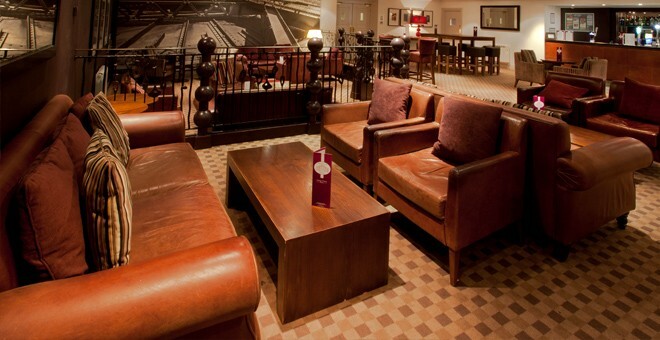 The hotel is 25 minutes away from Chester, which is popular for shopping, nights out and Chester Racecourse. Another attraction is Chester Zoo, providing a great day out for families. And that’s not the only fun day out you could have near the hotel, Apple Jacks Adventure Farm, Knowsley Safari Park and Gulliver’s World Theme Park are all within 20 minutes from the hotel. Fancy meeting up with friends or family to practise your swing? Warrington Golf Course is only 17 miles away, so take advantage and make a weekend out of it by booking affordable rooms at the Daresbury Park Hotel. You can make full use of the hotels facilities and spend as much time as you like at the course! Sometimes it can be difficult to find hotels right in the centre of the bigger cities. You may have an important meeting to go to, or maybe there’s a live event you have tickets for but are struggling to find accommodation. The hotel is only 40 minutes away from Liverpool and Manchester, meaning it's the ideal option when looking for somewhere to stay the night. 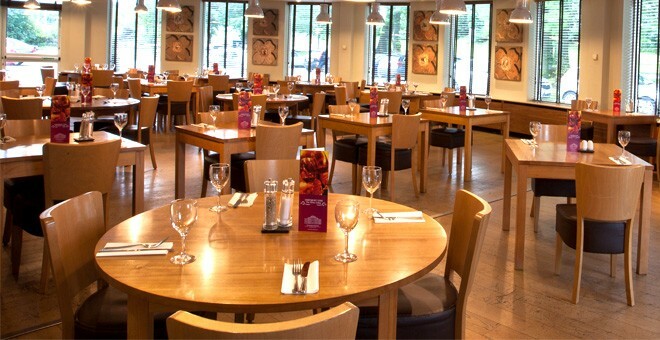 The Daresbury Park Hotel offers a fantastic range of facilities for guests to enjoy. The Steam, Bake and Grill Restaurant has a vibrant atmosphere and is open daily serving a delicious full English breakfast. There’s also lighter options available and breakfast is a buffet so eat as much as you like! The restaurant serves dinner each evening, with a wide range of appetising dishes on offer. The hotel also has two bars for guests to choose from, the Lounge Bar and the Java Lounge. 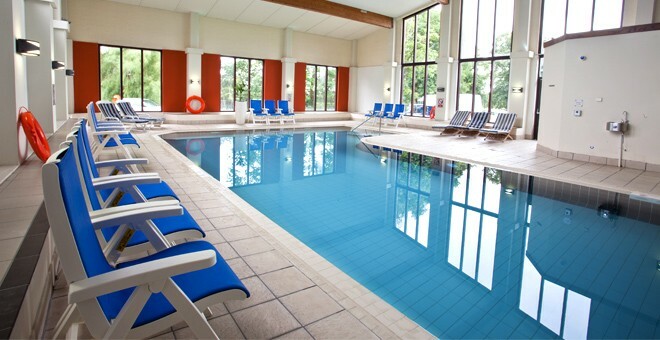 The Daresbury Park Hotel boasts a Spindles Health and Leisure Club, where you can make use of our gym, indoor pool and steam room (for a small fee). The leisure club also has an on-site spa offering various treatments and packages for you to indulge in. 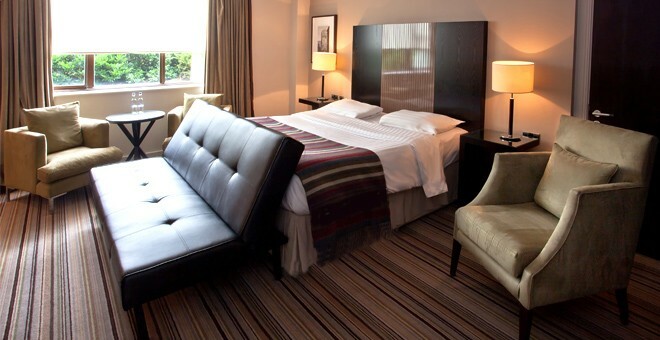 The hotel has spacious en-suite bedrooms with a TV, telephone and tea and coffee making facilities. There is a free on-site car park for hotel residents, free Wi-Fi in public areas and the hotel has a 24-hour reception. The Daresbury Park Hotel is great for exploring the local area and is conveniently located and so easy to get to. 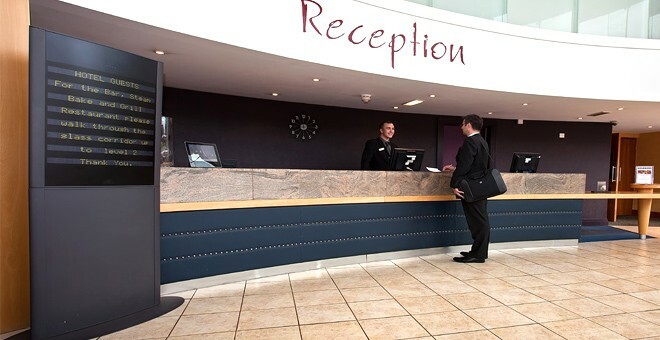 Being less than 3 minutes away from the M56, the hotel is a perfect choice for business and leisure guests. The hotel has its own car park, which is free for hotel residents. Public transport is available close by; local bus stops are less than a 6-minute walk on the A56. The nearest train station is Runcorn East, a short 21 minutes’ walk or 9 minutes in a taxi. 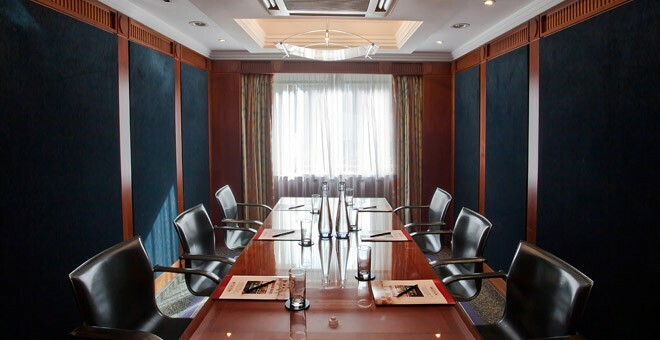 The hotel offers easy access to Chester, Liverpool and Manchester, making it a perfect base for your forthcoming plans. 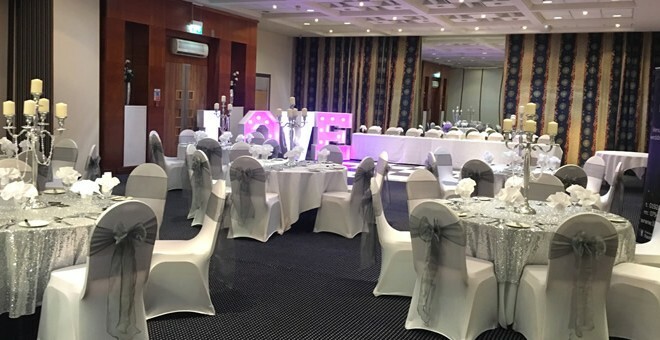 Daresbury Park Hotel & Spa is one of our best hotels to hold an event. You can expect an Elite experience with our most talented staff on hand to make sure your conference goes smoothly.